Carlsberg UK is building a premium brand and sales division called the House of Beers, as part of its ongoing transformation to focus on brewing and selling a portfolio of premium quality brands. 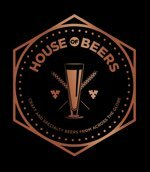 The House of Beers will be dedicated to premium, world and craft beers and ciders and will provide specialist support to customers within the independent free trade operating premium on-trade venues within major cities across the UK, including central London. The total Carlsberg UK brand portfolio, which includes the House of Beers, is being curated by Liam Newton, vice president brands marketing, who joined the bre wer in June having held roles at brand consultancy Landor, Nestle, ABInBev and Bacardi Brown-Forman. Newton will be supported by a specialist marketing team with experience in developing premium brands. The House of Beers brand portfolio includes Carlsberg UK’s collection of premium and craft beer and cider brands including its Backyard Brewery range imported from Sweden, its Herefordshire craft cider Bad Apple, Belgian beer Grimbergen and Spanish beer, Mahou. The brewer will also be looking to expand the portfolio in the future. To provide special expertise with customers, Carlsberg UK has recruited specialist sales director Craig Ogden to lead the House of Beers sales team, having worked previously at Remy Cointreau UK and Bacardi Brown-Forman Brands. He joins Carlsberg UK later this month. To support the House of Beers, the brewer has already put in place a team of brand ambassadors for its Backyard Brewery, Grimbergen and Bad Apple brands. The ambassadors are supporting the growth of the brands across major cities and within customers’ on-trade venues through bespoke training, brand support, advice and events. Carlsberg UK also recently launched its ‘Crafted’ portfolio of 60 world and speciality beers and ciders into the on-trade, featuring beers from Hiver, Chapel Down, Rooster’s Brewing Co., Hitachino Brewery and Brooklyn Brewery.